Arcadia Yachts is pleased to announce that, as part of development plans for extra-European markets targeting sales expansion, brand awareness and reputation, Mr. Alessandro Diomedi will now be in charge of operations for the Americas. The appointment is due to the renowned capabilities and expertise of Mr. Alessandro Diomedi, who held the position of Ferretti Group Manager for approximately ten years, first for the Asian, and later the American markets, with excellent results. This appointment coincides with the presentation of the Arcadia 85 at the 2015 Miami Yacht & Brokerage Show, beginning next February 12th, and with the important signing for a new Arcadia 85, destined for the South American market. Ugo Pellegrino, Arcadia Yachts Ceo, warmly welcomes Mr Diomedi to his new position. The sailing and motor yachts of Bavaria are still on track to win. In Warsaw, the Sport 360 won in the category motor yachts bigger nine meters the ‘Polish Boat of the Year’ award. In the category sailing yachts the Nautitech Open 40 took the award and won against other catamarans. In Croatia, the Cruiser 46 got the ‘Croatian Boat of the Year’ award her second award this year after winning the ‘European Boat of the Year’ award in January. 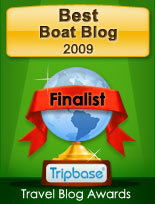 The Sport 360 had already been awarded with the ‘Best of Boats’ award in Berlin before the turn of last year. The German renowned boat builder Bavaria announces a major investment into the Chinese market effective to start in 2015. Bavaria is one of the major players on the boating market for sailing and power boats ranging from 30 to 56 feet and recently added a catamaran range following the purchase of the French Nautitech brand. Established in 1978 and delivering every year around 1200 boats to the market, Bavaria has successfully developed a strong dealership network in 52 countries. The Chinese market is certainly one of the most promising markets for the company which currently possesses a regional office in Shanghai, managed by the Asia-Pacific Sales Director, Mrs. Reanna Wang, and a strong dealership network within the country. With the currently presence in China, the company sees a need to further develop the market which represents a huge potential for this size range of boats and is also very catamaran-friendly. Having all three types of yachts it its portfolio, a strong German know how and engineering background, Bavaria is on the right path to enjoy its part of success in the Chinese market. With the new investment that the company has injected into China, a large number of stock boats from the whole range will soon be available from different locations nationwide which mean quick delivery time for Clients and more effective work for the dealers. Bavaria Yachts China in Shanghai will also establish an After Sales department in the South of China which will serve as a support and training base for all dealers and clients. 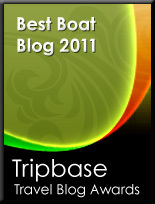 This base will be operated by the shipyard experts and their Chinese team. The Chinese middle upper class segment is quickly growing and hence Bavaria’s conviction in the brand and the right time to reinforce its position on this challenging but promising market. After 3 years operations in China, sales results and increasing interest in the brand allow Bavaria Yachts to expect that it will become, as on other international markets, one of the top boat builders of choice for the local buyers. With a regional office in Shanghai with its own marketing and sales team supporting the dealership network and the after sales department in the South of China, the company will be able to quickly increase visibility and sales within the world’s most vibrant marketplace, China. 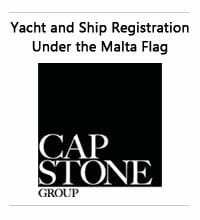 Benetti, the world's top builder of over 24m yachts for 15 consecutive years, confirms their ongoing commercial success with sales of 9 super yachts from September 2014 until now, including a full-custom 65m, 7 Displacement Class and one Veloce 140' Fast Displacement Class, the latter confirming the strong appeal of this new line following its introduction in 2012. This commercial success follows the news – see previous Press Release issued during the Cannes Yachting Festival 2014 – regarding the sale of two over 100m mega-yachts. The Benetti production line is working at full speed on 19 yachts, all to be delivered in 2015, including seven Custom projects 50m and larger and twelve Class semi-custom units. 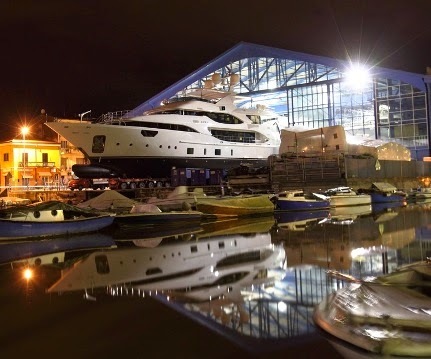 With 45 yachts under construction in Livorno and Viareggio, and thanks to the constant attention paid towards clients and the yard's solid financial situation, Benetti is riding a wave of commercial success, confirming the market's interest for all the yard's models and new designs throughout the world. Encouraged by these positive results and previsions for the future, Benetti, with an eye towards satisfying the continuing requests for their yachts, has decided to begin production of a 63m on spec. This will assure that even clients with short delivery constraints will have the possibility to own such a large yacht in a relatively short time. Argo Finanziaria, holding of the Gavio Group, announces it has undersigned a Letter of Intent with Ferretti SpA regarding the takeover of Bertram, one of the leading yachting brands in the United States and all over the world. The acquisition is expected to be finalised by 31 March 2015, following appropriate due diligence of Betram’s assets, the definition of the conditions, guarantees, and commitments required for this type of transactions, and after obtaining all the necessary authorisations pursuant to the applicable laws and regulations. Established by Richard Bertram in 1960, Bertram is a true icon of US yachting. It is the legendary brand of the famous Moppies, thousands of which were built between the 1960s and the 1990s. Bertram yachts have always been a synonym of performance, outstanding seaworthiness, reliability, excellence, and style. The acquisition of the Bertram brand follows the takeover by the Gavio Group of two other important yachting brands – Cantieri Cerri, in September 2011, and Baglietto, in February 2012. The latter is the symbol of international yachting and is currently the oldest Italian shipyard still in business. By including Bertram into its yachting brand portfolio, the Group will further extend the range of boats it produces. 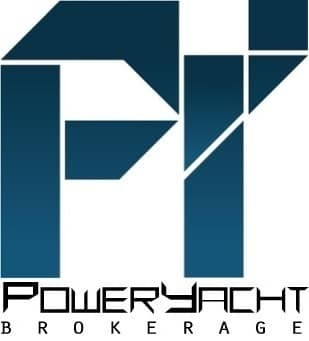 It will also create a prestigious ‘hub’ in the luxury yachts segment, capable of creating strong synergies by sharing resources, optimizing costs, integrating sales networks, and further promoting its chances to successfully operate on the fast-growing US market. Australian luxury motoryacht builder Elandra Yachts has achieved multiple sales of its Elandra 53 semi-custom sports yacht following its unveiling in September last year. The first two Elandra 53s were sold to New South Wales buyers. Elandra 53 No.2, with a gleaming gold hull colour, is in build at the company's yard in Queensland and is scheduled for completion in May. A white gelcoat-hulled Boat No.3. will be completed in August. Elandra Yachts has also announced the appointment of Chris Hills of Australian Boat Sales to represent the company in Sydney Harbour. The dealership has operated from offices on the Harbour for the past 11 years. Two major awards arrived for Filippetti Navetta30 M/Y Gatsby by Boat International Media. M/Y Gatsby is one of the finalists in two of the most important and prestigious industry awards: the World Superyacht Awards and ShowBoats Design Awards. The impressive group of finalists includes the best super yachts built and delivered to the owner in the last twelve months. The World Superyacht Awards recognize, from more than 10 years, the best superyachts newly built, delivered to their owners during the last year. The jury, arranged by eighteen superyacht owners and two high-level professionals, has visited the boat during the Cannes Boat Show, where it was presented in a world premiere. The Filippetti Navetta 30 M/Y Gatsby was named as a finalist in the category "Displacement Motor Yachts of below 500GT - 30m to 42.99m." The awards ceremony will take place in Amsterdam in May. While the World Superyacht Awards recognizes superyachts in their entirety, the ShowBoats Design Awards focuses directly on the fundamental design aspects of superyacht design such as naval architecture, exterior design and interior layout. The Navetta 30 Gatsby has been nominated in the category "Environmental Protection Award". Two major awards for the first Filippetti Navetta 30 M/Y Gatsby that further confirm the high quality of the founding principles of this “green boat”. This 30 meters, like the other vessels of the line Navetta, has been entirely designed according to environmentally sustainable criteria: displacement hull, soft, rounded lines, low emissions and consumption. Thanks to the fuel tank capacity of 27,000 liters and the low power consumption, Filippetti Navetta 30 is able to travel long cruises without the need for intermediate supplies. In addition to the attention for the environment, great importance has been given to the comfort and the large spaces on board. The interior of M/Y Gatsby were completely customized by the owner to maximize comfort. M/Y Gatsby has six cabins and a deck fully dedicated to the owner, an unusual layout for boat of this size. The Overmarine Group is continuing to develop its strategy to make Mangusta an international brand, focusing strongly on new areas of the globe that are aimed at integrating the traditional European and American nautical markets. Over the past few years, the company has paid particular attention to Asia Pacific. Singapore is the financial and economic centre for the entire area and exactly where the Group is now concentrating its efforts. After careful assessment, the Overmarine Group chose to appoint Henry Goulding to promote the Mangusta and Mangusta Oceano brands in Singapore. Despite being young, Henry Goulding is a Commercially Endorsed Ocean Master, having built up considerable experience sailing in Europe, the USA and most importantly, Asia, where he now lives and works. Having spent time working on chartered yachts, Henry knows exactly what Owners want, how to make a yacht experience truly unforgettable, build up an excellent relationship with crews and manage a yacht, ensuring the very highest standards of maintenance and presentation. This kind of experience is a key sales feature in Singapore where a full service and customer care is essential. The UHNW population in Asia is growing steadily and Singapore is considered to be a pole both financially and for luxury, in short Asia’s Monaco. A substantial part of the wealth of the entire area is concentrated here, coming mainly from Indonesia, Malyasia and China. The nautical industry is also involved in this growth trend, both in terms of clients and services and infrastructures and a nautical culture exists here, too. The area offers interesting destinations near-at-hand which is perfect for fast yachts. This makes Singapore a strategic market for an iconic brand like Mangusta, which has been a leader for cutting-edge Maxi open yachts for over 30 years, featuring a perfect combination of innovation and technology, high quality, luxury and artisan work, a top performance and safety, large spaces and onboard comfort, Italian style and customised interiors. The Overmarine Group and Henry Goulding, will be present at the upcoming Singapore Yacht Show 2015 held in end April. Princess Yachts has enjoyed a record start to their 50th anniversary year following a successful winter boat show season. Beginning at the CWM FX London Boat Show, Princess unveiled a new stand design and featured a stunning 10 yacht line-up. The Princess 68 made her show debut alongside the new Princess S72 which picked up a 2015 Motor Boat Award during the show. In addition the V48 Open, also on display, fought off tough competition to scoop another Motor Boat Award for the Sportscruiser over 45ft category. In the wake of London's success Princess also enjoyed a record show at boot Dusseldorf. The Princess 98 Motor Yacht was once again the largest yacht at the show and impressed visitors to the stand with her Art Deco inspired interior, Armani Casa fabrics and accessories including lamps by Porta Romana. The 98 was part of a seven yacht display which also included award-winning models such as the Princess 43 and the V39. The dates are now set for the 4th annual Riviera Festival of Boating so mark 21-24 May 2015 to experience a truly unique event that will once again bring together Riviera global family of owners and enthusiasts and assist them in achieving ‘the ultimate boating experience’. With over 70 educational seminars, practical workshops and social events over four days, the Festival is always popular with those looking for practical knowledge and skills development from the fundamentals of anchoring, line-tying, charting a journey and handling boats in challenging conditions, right through to harnessing the full power of the latest technology and advanced marine navigation systems aboard new Riviera and Belize models. The Festival is part of Riviera’s commitment to helping people to stretch their sea legs and experience the pleasure of blue-water cruising. it is about building confidence to a global family of owners who is able to use their boats to their full potential. Realise that, in this respect, knowledge truly is power. But the Festival is also far more than that it is also a chance to inspect the latest luxurious range of new Riviera and Belize yachts at a $15 million red-carpet on-water showcase at the state-of-the-art, 14-hectare facility at Coomera on Queensland’s Gold Coast. And it is an opportunity for people from around the world to come to Australia’s Gold Coast and catch up with friends, to share experiences and to plan new adventures. Sanlorenzo is delighted to announce the further expansion of its brand representative network in the United Arab Emirates and Middle East, with the appointment of motor yacht specialists ACE Marine L.L.C., trading as Sanlorenzo Middle East. Sanlorenzo Middle East will operate from new offices in Dubai, serving the United Arab Emirates, Saudi Arabia, Kuwait, Qatar, Bahrain and Oman. It is a sister company of Alkhalil Trading L.L.C., trading as Sanlorenzo Egypt, based at Abu Tig Marina in the resort of El Gouna, on the Red Sea coast. Both dealerships were established by Managing Director Tarek Khalil who, for the last 6 years, has been successfully representing and distributing luxury motor yachts in Egypt and Lebanon. Sanlorenzo Middle East has ambitious plans to grow awareness of the Sanlorenzo brand in the Arabian Gulf region, building on the success of the company in Egypt. Sanlorenzo Middle East will showcase some of Sanlorenzo’s newest models at the 2015 Dubai International Boat Show from March 3rd to 7th, including the 40 meter superyacht 40Alloy, in exhibition courtesy of the Dubai Royal Family, that bought it in 2013. Sanlorenzo opens a new embassy in the Shanghai “Bund”, the heart of the most populous Chinese city that recently reached 20 million people and that represents the most important financial and commercial center in China. Today the “Bund” area is one of the main touristic destination of Shanghai. Sanlorenzo is directly present on the Chinese territory through Sanlorenzo China, its Brand Representative that, since 2014, has been managing the promotion and the sales of the Italian-built Sanlorenzo motoryachts from 22 to 62 meters on the Great China region (China, Hong Kong, Macau and Taiwan). The new showroom, with the unmistakable Sanlorenzo style, was designed in Italy and reflects the sophisticated and refined atmosphere of the other Sanlorenzo offices and showrooms located all over the world. From this new location among the colonial-style buildings and the international fashion and jewelry boutiques, the emerging Chinese class – always more attracted by the Made-inItaly artisan excellences – will have the opportunity to directly get in touch with the Sanlorenzo top-class motoryachts. The strategic position of the new Showroom, right near the big Yangzi river, will also allow the Asian owners to visits and to sea trials the Sanlorenzo motoryachts moored at the river docks. The natural tailor-made approach of Sanlorenzo – based on the production of few, madeto-measure units per year, each one designed according to the style and the requests of every single owner – allows the creation of motoryachts specifically designed to fulfill the cultural and stylistic demands of the Asian customers. The SL96 and SL106, both Special Edition, are the first Sanlorenzo models currently visible in China and represent the best answers to the requests of the emerging nautical market of the Great China. In addition to the distribution of the exclusive Italian Sanlorenzo motoryachts, Sanlorenzo China is also offering a post-sales service on the whole Chinese territory, yacht maintenance and charter service, a financial consultancy about the transport, import and the registration of the boats in the Great China region. Some 5,333 visitors came through Viking impressive 14 boat display at the 2015 Miami Yacht & Brokerage Show last week. Activity was good with a pair of 62 Convertibles, a 55 Convertible and a 52 Convertible contracted during the five-day run and complemented eight other Vikings sold during the VIP Boat Show Preview at the Viking Yacht Service Center in Riviera Beach late last month. The 19th Annual Viking VIP Boat Show Preview was a rousing success as more than 700 Viking family members gathered for our exclusive private showing of the 2015 Viking fleet from 42 to 92 feet complemented with a venerable vendor village of marine accessories, electronics, engines, fishing tackle, services and equipment at the Viking Yacht Service Center in Riviera Beach. Framed with blue skies, a fresh Florida breeze and superb ocean running conditions, the popular event this past Friday and Saturday provided our dealers and their clients with nearly a hundred sea trials displaying time after time why Viking leads the world today as the champion builder of luxurious sportfishing convertibles and elegant, leading edge motor yachts. In addition to our award winning fleet Viking also earned the accolades of the Parker Hannifin Corporation, which manufactures Racor Fuel/Water Separators and Sea Recovery water makers as company representatives Steven Theus, Raffaele Invrea and Greg Newman presented Patrick Healey, President and Bill Healey Co-founder of VIking with its prestigious OEM Manufacturer of the Year Award. Throughout the festivities of both days the pulse and commitment of the company to build a better a boat every day was apparent to all in attendance and making waves for the next big Viking Yachts showcase at the 27th Annual Miami Yacht & Brokerage Show, February 11-16, 2015 in Miami Beach. Zeelander Yachts B.V. announced today the appointment of Michele Allen to President of Zeelander USA, based in Fort Lauderdale, Florida. Her responsibilities will include overseeing day-to-day operations as well as executing key strategic growth initiatives. Ms. Allen brings 30 years of diversified experience providing strategic, tactical and financially responsible leadership. Allen has a long track record of building value and maximum revenue growth for both product and service organizations, most recently as General Manager of Bradford Marine Yacht Sales. Prior to that, she served in pivotal roles including Director of Product Development for QVC, Vice President of Operations for Teslar Watches, Director of Sales and Marketing for Hotels.com and Vice President of Marketing for Sky Limo Air Charter. Zeelander Yachts also announced today a company restructure which includes the addition of a yacht sales division in preparation for growth and new products. This new division led by Chris Holtzheuser as President, will provide an improved experience for those buying and selling their vessels. Former Zeelander USA President, John Slate, will move to the sales division to drive new business and ensure a successful launch.